Blog » Starting school in September: How can I help my child be ‘school ready’? 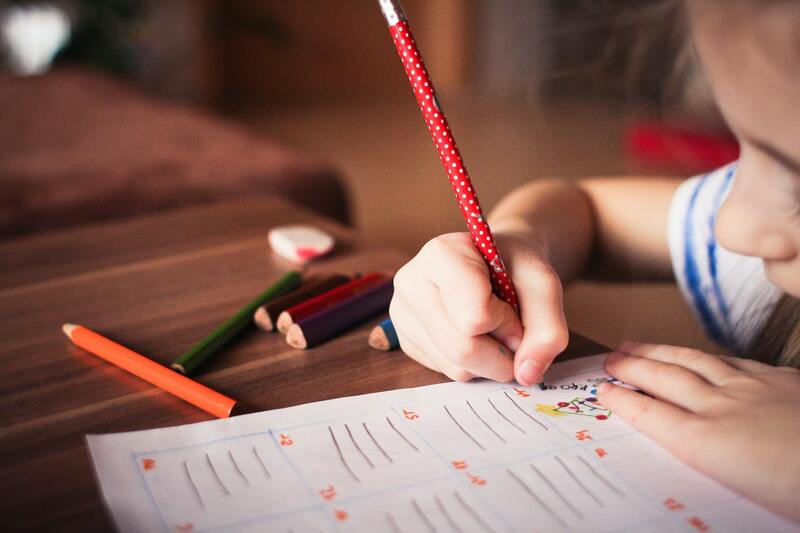 Starting Primary School is a huge milestone moment for both parents and children, and probably a step into the unknown for you if your first-born is starting school in September. Your thoughts may now turn to how can you make sure your child gets off to the best start at their new school. How can you make sure they are settled and come home happy at the end of the day. The following tips may give you a starting point and something to think about over the next few months. Find out as much as you can about your child’s school so that you can answer any questions that they might have and discuss it with them before September. You can find the contact details for all the schools in York HERE. 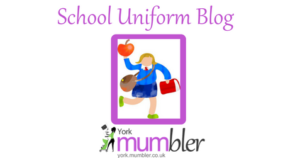 They may want to know the simple things like the colour of the uniform, (have a look at our uniform blog here for guidance for how much to buy and where to get it from). They may want to know what exciting food they will eating at lunchtime and where they will play outside. Knowing their teacher’s name and maybe some of the children that they will be starting school with could help to allay some fears. Look for Facebook groups for children starting in September 2019 at your child’s new school that may pop up over the next couple of months where you can make contact with other parents and perhaps arrange some meet-ups. You could also look out for the induction days that most schools have towards the end of the summer term. These are a really good way for you and your child to see the classroom and meet some of the staff. Seeing where they will be spending their time and who they will be with may make your child less anxious and they can also meet some of the other children who will be starting in September. Talk about school in a positive way, but remember that your child may not find it fun and exciting to start with. Reassure them that there are plenty of people to help them to settle in and talk to if their day isn’t as great as they thought it would be. Explain that they can talk to their teacher if they have a problem, or talk to you at the end of the day and that no worry is too small to discuss. The daily routine for your little one may be about to change so think about running through what to expect with them. Explain that they will have to have their lunch at school and that there will be other breaks outside, as well as time in the classroom. Practise the school run with them; try the walk to school so that they know how long it will take and it becomes a familiar route to them. Rules may be something that your child (and you) are worried about so explain to your child that there will be plenty of people to remind them of what they are expected to do in order to be safe and happy at school. Explain that there won’t be awful punishments if they forget to clear their dinner tray away at lunchtime and that there will be lots of reminders in the first few weeks. Think about how you can make sure your child is independent before they start school. Can they go to the toilet on their own? Are they able to put on their own shoes? Can they sit still whilst listening to a story? Can they recognise their own name when they see it written down? (This will help them find their peg and drawer). Little things like this will really help them be more organised when they start, and hopefully help them feel more confident when they walk through the school gates. As well as you finding out about school, your child’s teacher will want to know about your child. Most schools ask you for information and no detail is insignificant. If your child struggles to remember to go to the toilet without being asked, then let school know and they can help prompt. Tell the teacher your child’s likes and dislikes and what their interests are. Your teacher will thank you for letting them know that your child loves Frozen/Space/Lol Dolls/Lego but hates Monsters/Broccoli/the Dark. This information will help your teacher get to know your child and be able to help them feel settled quickly. The next few months will fly by so enjoy the time you have left with your little one at home…hopefully some of these tips will help you send off a happy and confident child on 2nd September to the next chapter of their life.